Well hello there. Yes, I am here with my 4th Secret Recipe Club post this month (see the first, second, & third here)! In SRC members are secretly assigned another blog, make something delicious from that blog and post on reveal day! Today is a pretty special SRC day! Since there are 5 Mondays this month, we’re bringing you a SRC Tailgating special! We’re crossing our usual group lines and revealing mouthwatering tailgating recipes to get you all ready for football season! 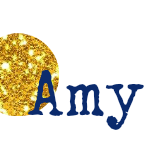 For this special reveal, I was assigned Kelly’s blog, Wildflour’s Cottage Kitchen. Kelly is a stay at home wife with years of amazing kitchen and publishing experience! In fact, we’re both Taste of Home Field Editors! Kelly was also just assigned my blog for the reveal earlier this month and totally improved on my recipe for Pesto Meatball Subs! Kelly has so many amazing recipes on her blog – I was absolutely drooling as I searched for the perfect tailgating treat. And it didn’t take long until I found Cheese Filled Bacon Wrapped Game Day Barbecue Beefdogs. It was all over from there! I adore making Bacon Wrapped Beer Brats and couldn’t wait to try it out with hot dogs, cheddar and BBQ sauce! I ended up creating a whole hot dog bar for Spud’s birthday celebration and the bacon wrapped hot dogs were definitely the star or the show! I added pickles and mustard to my bacon dog, but definitely try out your own favorite hot dog toppings. I have visions of caramelized onions topping these in the near future! I used cheese slices cut off of an 8 oz block. If using pre-sliced cheese, you’ll need fewer slices. Preheat the oven to 375 degrees F. Line a baking sheet with aluminum foil and place an oven safe cooling rack on top. Use a small sharp knife to cut a slit down the center of each hot dog. Place 2 slices of cheese into the slit on each hot dog, layering the cheese as necessary. Squirt a line of BBQ sauce down the center of each hotdog, then wrap in a slice of bacon. Place the hotdogs, bacon seam down, on the cooling rack that’s resting on the prepared baking sheet. Place the hotdogs in the oven and bake for 20-30 minutes or until the bacon is crisp. Place the hotdogs in a bun with mustard, pickles, and additional BBQ sauce or add your favorite hotdog toppings! Wow, 4 in one month! That is amazing. The hotdogs look amazing too! You are such a good SRC citizen! I have always wanted to try making these bacon wrapped hot dogs. Your set up looks great! I love the hot dog bar...great birthday idea...or maybe Santa lunch idea this year. Pretty sure these would be the hit at any tailgate! YUM! I bet these are so tasty and such a fun twist to jazz up a hot dog! We love hot dogs! I think you did a great job with the recipe for reveal day. What a great idea! A hotdog bar?!?! Happy birthday, Spud. I'm definitely using that one of these days. Wow, busy month for you! I love your hot dog bar. My husband would go crazy over bacon wrapped hot dogs. I also loved going through your blog this month! Love your commitment to making these great recipes 4 times in one month. 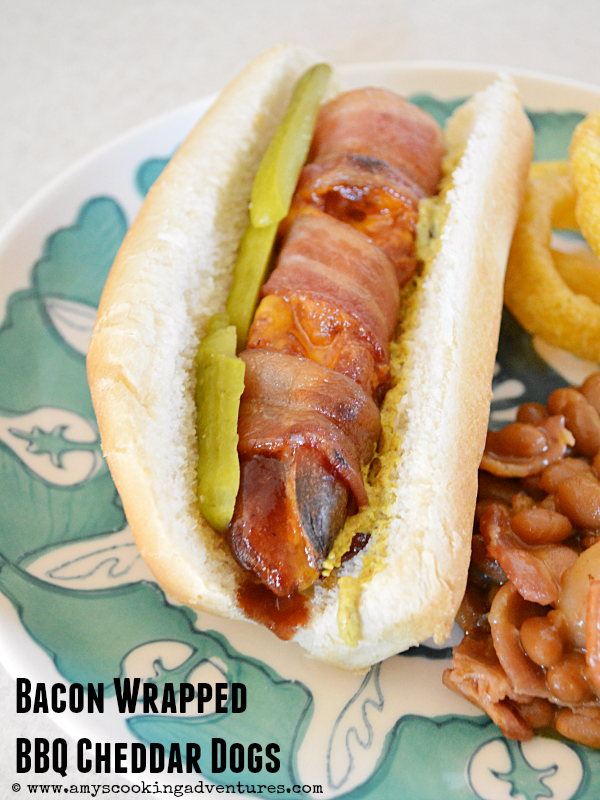 These bacon wrapped hot dogs bring back great memories of drunk college days and late nights. Great post! Yum! How fun is this!! Perfect for tailgate.